I have been meaning to write this out for quite some time in one form or another, but time has escaped me. Not tonight though. Time be damned, I feel like I have to write this out. Yet again, as I seem to always write, things have been changing in my life. See, I finally started to get serious about changes a few years back and of course setback after setback has happened. Mainly those setbacks have been all my fault, but some of those have been roadblocks that I know will still be in my path for quite some time. The thing about those bastards still there is that I can see the time where those roadblocks will no longer be there and it’s really gotten me anxious. I just want the next 12 months to pass. I want this last little bit of my current life to be over! I’m normally a very patient dude, but being able to see that finish line has me going crazy. Not to stray too far away from the point of my ramblings here, but as some of you know, I’ve gone back home to hotels. It was a very odd turn of events, and believe me, I wasn’t actively looking to go back. Things just… happened. I’m glad they did, honestly. I missed it. I had one of those Cinderella moments (the glam metal band, not the character) where I heard Tom sing “You don’t know what you got, ‘till it’s gone!!! !” Well, that’s what I felt about working at hotels. It first hit me the first time I stayed at a hotel after I went to contract for Tio Samuel. I got a glimpse of the life that I left behind and I instantly missed it. I had to get back, one way or another. I kinda half assed tried here and there, and I even almost made it back to Vegas where I’ve tried to get gigs before! Alas, southern Nevada wasn’t meant to be and I let my dream go for a bit. I had other problems to deal with… like getting rid of my damn debt, which I’ve come to realize now is my penance for completely ruining my own life from age 18 to about 30. 12 years of complete stupidity and I have nothing good to show for it. Sure, there were small victories in that time period, but mostly I spent that time checking off every sin in the book, hell, sometimes I’d commit some repeatedly just to be sure that I checked it off my list. I was an idiot. I literally pissed away my money and I dig myself a pretty deep hole. Awe, hell, you know me… I love a good challenge! Not that I ever really tackle most of those challenges because of my intense fear and hatred of rejection, but there are some challenges that I kinda like. Here’s one in particular: There are times in life that I like to completely destroy everything good just to see if I can rebuild and make it better! I’m an idiot like that. Well, check that. Was. I think I got it right this time. Thanks to the grace of our Lord Jesus Christ and the beautiful gift He gave me of putting important people BACK into my life and letting them show me my true path in life. If it wasn’t for that, I would have still be a lost idiot messing up my life in different ways. Now, I find myself with all the life experiences that I could have asked for to know what NOT to do, plus the drive to be the best person that I can now and God willing for the rest of my life. I’m on this path now where I’m slowly letting go of all the bad in my life, letting in all of the great as I move along to the small goals I have set for myself along the way. Slowly but surely, things are getting better and falling into place as they should. I’m excited, y’all. My penance is nearly through and all I can see is a bright future. Physical things are going to get fixed… like my beautiful Bestia, for one! LOL. She has been through hell! Dents, broken pieces, all due to freak incidents, but within the next few months, she’ll be repaired and back to new. 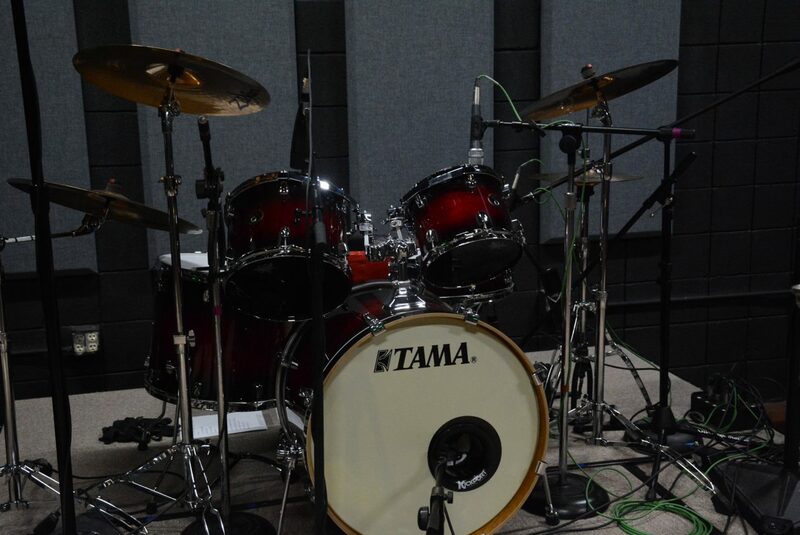 I jumped the gun on my other baby, my beautiful Tama Silverstar Custom. There were small things that needed to be fixed, and I just could NOT pass up the deal I saw for that Iron Cobra JR double bass petal. The next thing to look forward to is saving up the few K’s it’s going to take to get a new place to crash and some accessories to put in it. Thankfully, I won’t need much. All this should take me 12 months, but then… it’s onto the next goal. What that next goal is, I really have no idea. I suppose I would call it just really making sure that I enjoy life more. Enjoy the small things. Don’t take anything or more importantly anyONE for granted. Cherish those that God has put into my life. Things like that. Sometimes I find that I fall short in doing those things, but I got to make a better effort. If I can save the ducats, I want to try to make it out to north Texas more often to see dear friends and family of mine in the DFW area… I want to make it a priority to go camping in the area more like the Gila, Cloudcroft, and other places in the otherwise wasteland that is New Mexico… I want to be able to take those reckless 36 hour trips to Las Vegas for no other reason than to say that I really wanted to have a beer at the Yardhouse at the Linq and a burger at BLT… and well see all my dear friends there too! Stuff like that, I want to do. I WILL do once I get everything sorted out. I gotta do the things that make me happy and spend the time with the people that make me happy. There are a handful of people and I hope they know who they are!!! I love them so very much and very deeply. I want them to share in this crazy journey with me. Exciting times are coming up, amigos! I’ll try to blog things out some more when I get the time to really form my ideas into more than random thoughts.